Marcus Peters is coming off his worst performance of the 2018 NFL season. His poor outing versus the Seattle Seahawks indicated that he may still be feeling the effects of his calf injury. It is encouraging to see that Peters is not hanging his head over a bad game. More importantly, he seems to be adamant about his health not being an issue. However, his performance as of late has certainly raised cause for concern. Peters has not played particularly well since straining his calf in Week 3. Many expected him to miss a month with the injury. 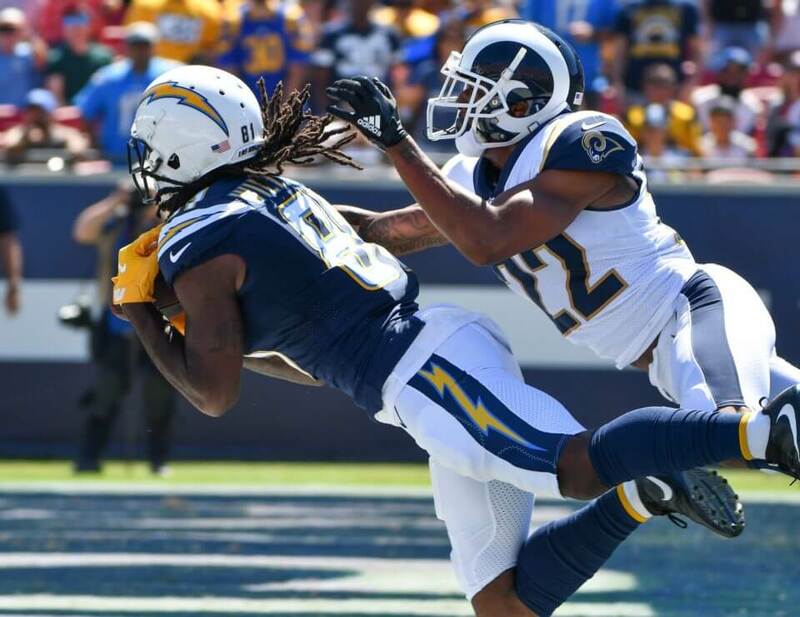 However, he still managed to put on a gutsy performance for a thin Rams secondary in Week 4. Despite his availability, he has had some trouble finding his footing in the defense. He became a sudden liability versus the Seahawks. The Seahawks were able to exploit his aggressive play style to multiple occasions. Regardless, Peters is hardly to blame for the entirety of the Rams’ woes on defense. This group as a whole has given has been awfully generous recently after giving up 62 points over the past two weeks. Fortunately, they have been bailed out by the most high-powered offense in the league. However, they will need to start fortifying this porous defense before it costs them a game later on down the line.